A certain football coach has been at the forefront of the news lately. The overwhelming majority label him as a “nice guy”. However, the context and tone of the phrase leads me to believe that when they say “nice guy”, it is not actually a compliment, but almost a character defect. It is as if the coach will not be able to perform his duties or rise to greatness because he is “nice”. This is a cultural myth perpetuated by the media and movies; that if you are nice, then you are somehow weak, uncompetitive, and do not “have what it takes”. Nothing could be further from the truth. This idea starts from the notion of “tough love”; common in sports and athletic endeavors. This idea is that you have to be hard or harsh to a student for their own good – to make them take the step to the next level. On the same thread, a student must develop a strong mental attitude to overcome the inevitable hardships and setbacks one must endure to get to the next level. They also must have a strong mental attitude to face their competition. Often, an opponent can mentally derail a fellow competitor with trash-talk, jibes, insults, etc. so that they do not perform their best. Where this notion has gone wrong is the next idea that a competitor/athlete must therefore become “mean” in order to be tough enough to face the competition. By extension, a person who is not “mean” must not be tough enough to excel in athletic endeavors. 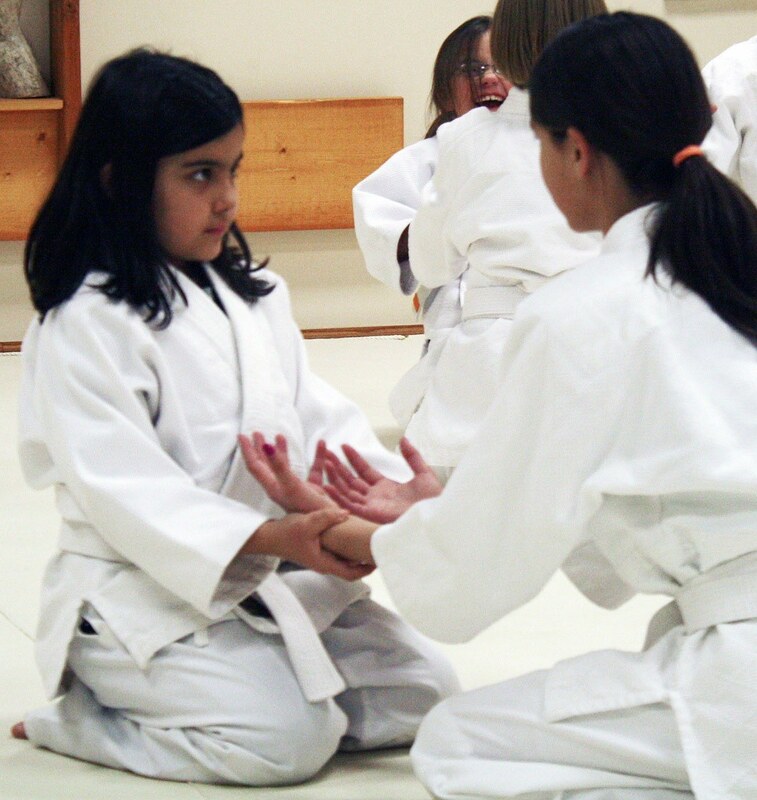 In martial arts, courtesy is taught right alongside lethal and joint-destructive techniques. The most terrifying people I know are the ones who will smile, say hello, and then take you out, without so much as a hint. These people have nothing to prove, they are confident in their own abilities, and they will not provoke or insult, because there is no need to provoke. They have the greatest desire to excel; to become constantly better than their opponents, and themselves. I believe that this applies to all athletic endeavors, from yoga to football. The progression of form to function to effectiveness seems self-explanatory. We must work to make our movements more efficient, more effective, with less thought, whether its blocking an incoming attack, or returning a tennis serve. Where then, does the “art” phase come in? We all have seen the “art” in watching games or performances in which athletes went “beyond” themselves. But what did they actually do? I tell my students that hopefully, if I train them properly, someday they should be able to walk in to another martial arts school and perform their techniques the way that school performs them. Why? Because I did not teach them techniques; I taught them how to move. Thus, if I taught them how to move properly, they should be able to instantly adapt to the new movement they are seeing. The art of the technique, then, is the ability to perfectly move in any given encounter. This is not easy. It requires precision, timing, and an understanding of oneself, and the environment that one is placed in. But when you see the perfect tackle at the goal-line, the perfect lay-up in basketball, the perfect serve in tennis, it is because the athlete has moved beyond technique, and has entered into the essence of movement. Look for the “art” in your chosen field. Practice until you can move exactly the way you want. Remember, it may take years of practice until you move with this kind of precision. Work on your techniques, but ultimately, find the essence of the movement. I read quite an interesting article on the web the other day. It had to do with learning through practice, and why it’s important to keep practicing even after you’ve ‘learned’ whatever it is you’re trying to learn. 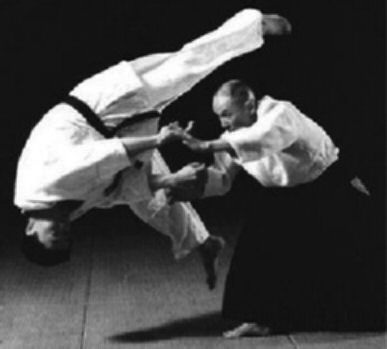 The author cites research involving manipulation of a robotic arm, and applies the findings to music performance and playing tennis, but she could just as easily have discussed the implications for the practice of Aikido as well. Here is where the article became especially interesting: the researchers found that even after maximum physical efficiency had been achieved, energy use in the brain continued to drop. The brain, apparently, isn’t satisfied with mere metabolic efficiency: it makes its own neural processes more and more efficient, too, after the motor skills have been mastered. 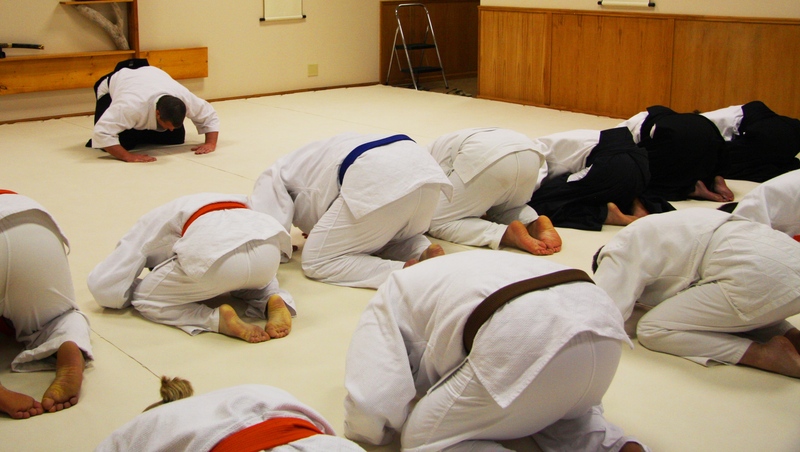 And if your brain is spending a little less energy doing one thing, that means there’s a little more energy available for something else: lightning-quick calculations of the speed and angle of an incoming yokomenuchi, say, or being aware of everyone’s position during jiyu-waza. In other words: You’re getting better and better, even when you can’t tell you’re improving—a thought to keep you going through those long hours of practice. 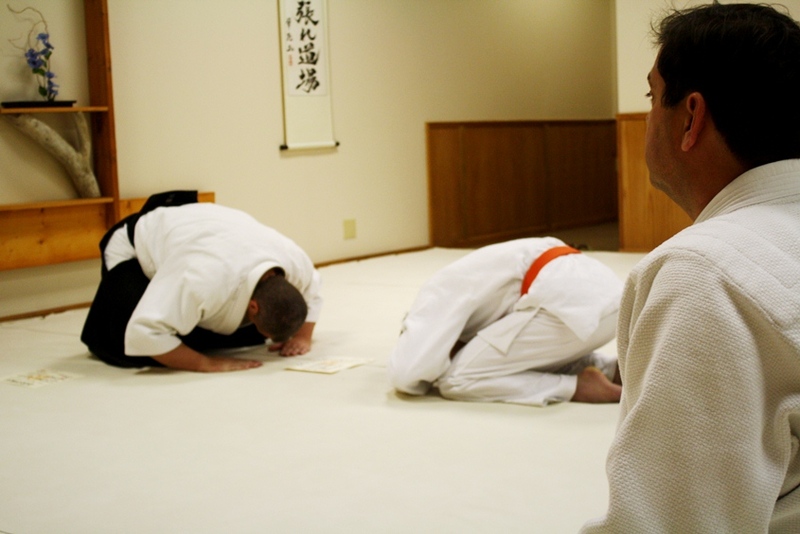 If you just came in off the street and sat down at Aikido of Nebraska, you would probably say to yourself that the students say “thank you” to the instructor and to each other a ridiculous number of times. Why does anyone need to do that? Is it some power-game of the instructor? Some constant need of the students to stroke their self-esteem? I find that I myself say “thank you” much more than I used to in everyday life. Yes it can be a non-thinking habit, little more than any other habit that you do mindlessly, such as brushing your teeth, or hitting the turn-signal. But for me, saying “thank you” is still in the forefront of my mind. It reminds me that I live in a society that does a vast amount for me personally everyday. It reminds me that everyday people do things for me that they didn’t necessarily have to do. If I have any success in life, it is a result of finding that success through other people. 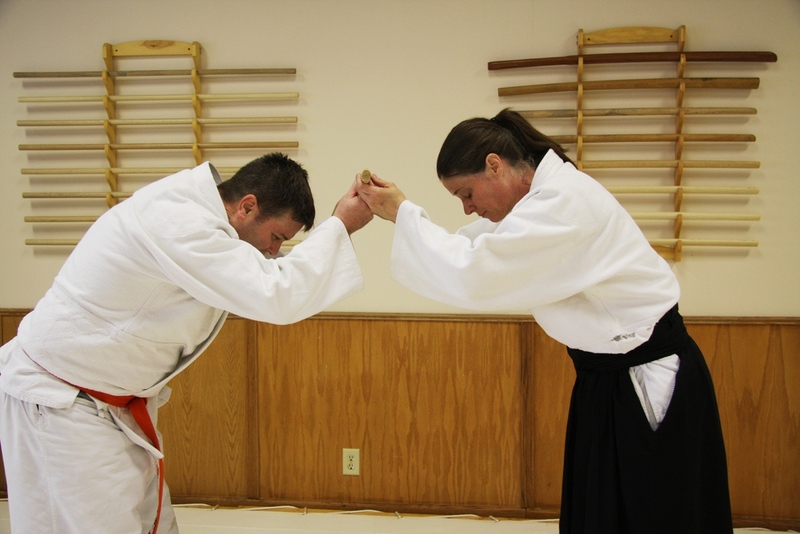 In martial arts training, people train to get certain benefits for themselves, but at least at our dojo, they help others as part of their training. Thus, it is important to say “thank you” for every last thing another person does for you. They did not have to give to you; or they did not have to give to the extent they did. Saying “thank you” for all these “gifts” makes you realize of the thousands of little things that people do for you every day- whether you pay for them or not. It allows the student to gain 2 new character traits; 1)Humility, and 2) Gratefulness – character traits which will go a long ways to having a happy life. There are a lot of people in the martial arts world who love titles. 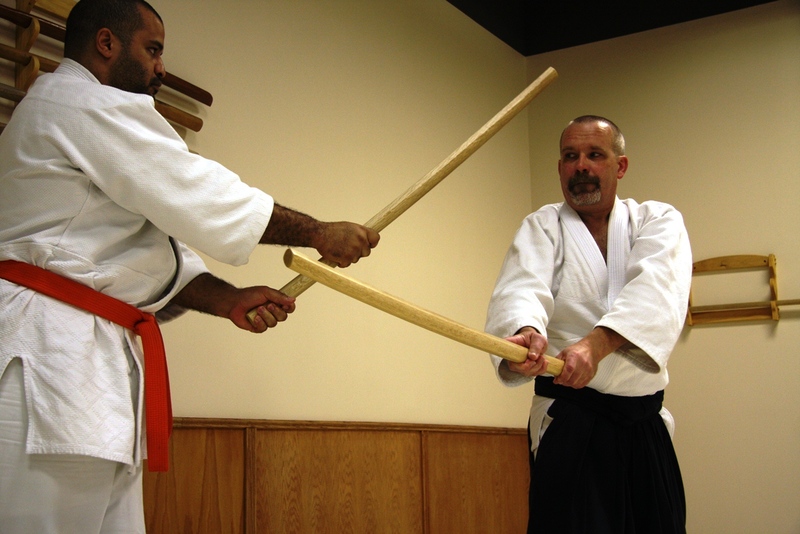 Sifu, Sensei, Shihan, Master, Semapi etc., are all valid titles depending on which kind of martial art you practice. And prospects often come to the school and tell me what rank they made it to before they quit their previous martial art – yellow belt with black stripe, black belt, green belt, etc. While I respect the time and training that anyone has put in to their chosen art, I remind my students not to get caught up in what belt or rank they are, because ultimately, their belt or rank MEAN NOTHING. Don’t get me wrong, we use a system of ranking and belts at our school as well. It is helpful to the student to see what his/her short-term and long-term goals are, and how they are progressing through the curriculum. But ranking and belts are an arbitrary system, and arbitrary systems are, well, arbitrary. They have no connection to the real world. They are “made up” for our benefit. For example, even students in the same art, but from different schools, will have a different ranking system. 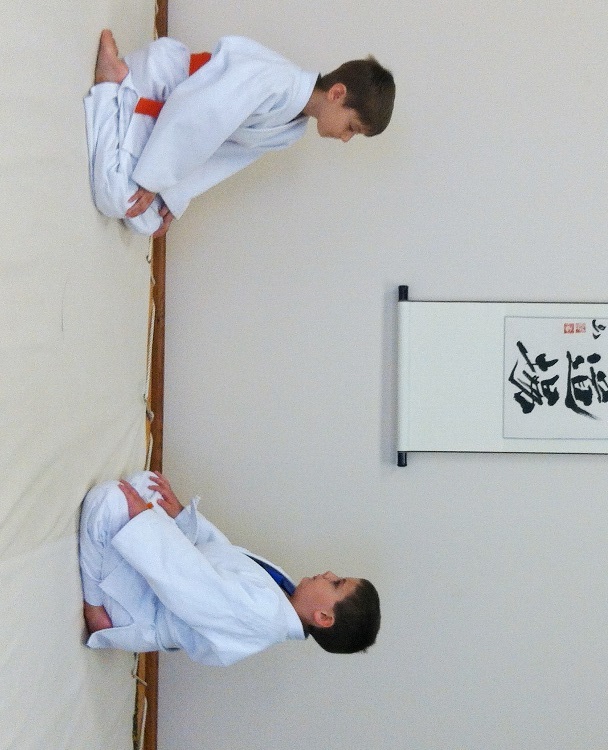 Some schools have 4 progressions before black belt, some have 10. How can I get students from these 2 schools to work together at the same level? The answer is I really can’t. Do you think the Samurai cared about what “rank” they were? No, they cared about one thing – not dying on the battlefield. They trained relentlessly, because many times, there was no way to quantify how much they knew, or if they were better than others. If they were better, they survived, if not, they never got to review their training again. We all like the feeling of being competent, and many like the feeling of having junior students look up to them; to see them as the “top dog”. It is easy to become arrogant, and tell yourself how good you are, just because you have such-and-such rank. 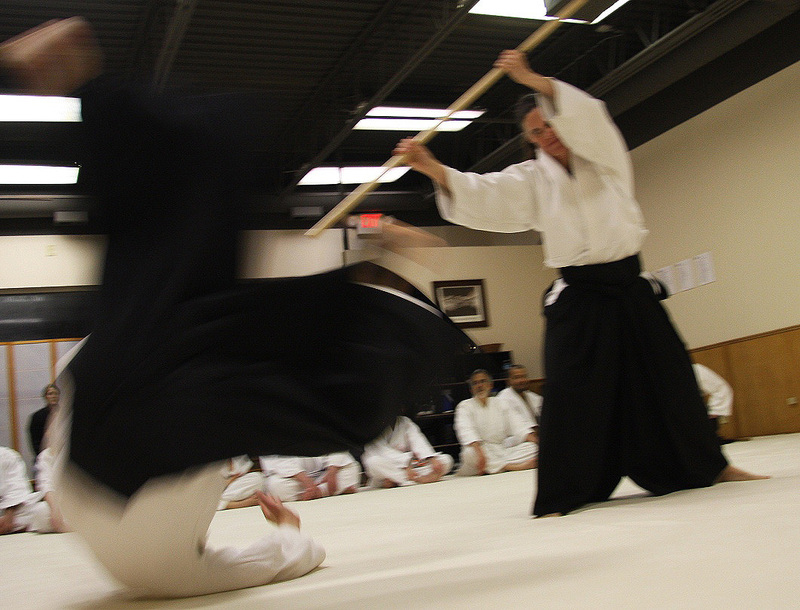 In order to keep our skills progressing, we remind ourselves to keep the mindset of the japanese concept of Mushin. Mushin means “beginner’s mind”. It means that no matter how much you know, you can always learn more. It reminds us not to get caught up in rank, or belts because once you “know it all”, learning stops and you become complacent – which means death on the battlefield. 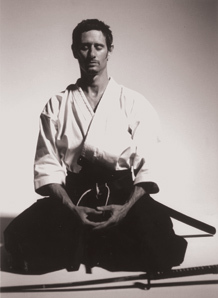 Mushin reminds us to look at every technique like you have never seen it before – to do every technique like you have never done it before. Mushin reminds us to be careful. If I allow myself to “know ” a technique, then I will stop trying to learn its subtle nuances. 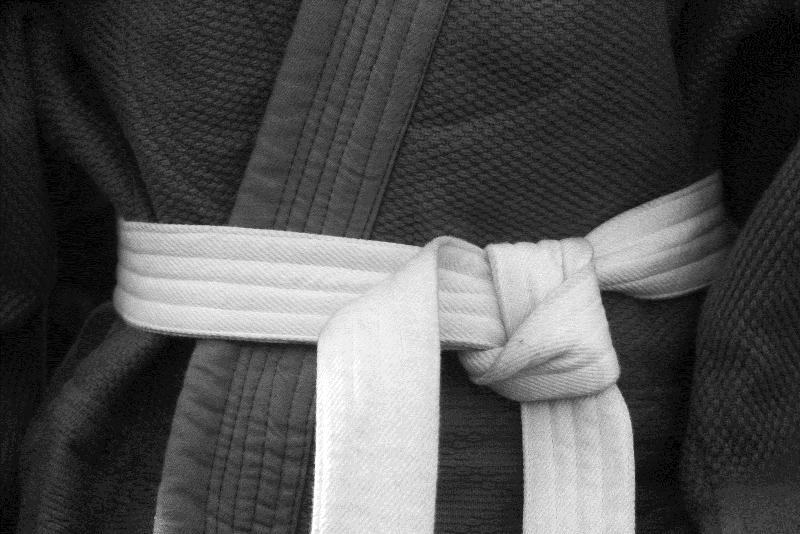 With Mushin, I remind myself to keep learning, no matter what my rank, no matter what my belt. As for rank – forget it, it means nothing anyway. All that matters is what you know, and what you can do, right now. 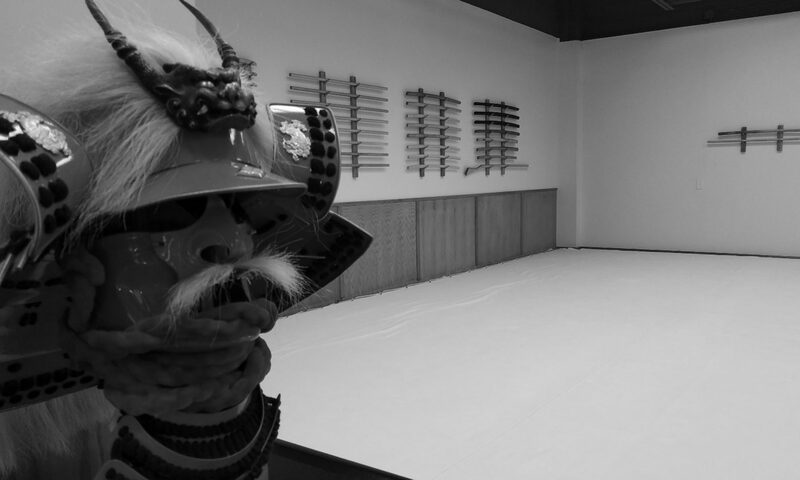 One of the things that martial artists do is take warrior concepts, such as honor, duty, courage and discipline, and try to make these concepts more concrete so that they can be used in everyday life for “average” people. Just because most people do not have to face life-or-death decisions everyday in modern society, does not mean that they have no use for courage and discipline. In no where is this there a more important example than the recent Penn State scandal. As I tried to come to terms with the information coming out from Penn State , I tried to understand what I was most upset/angry about. I came to the conclusion that , oddly enough, I was not most upset at the main suspect. Don’t get me wrong; if the allegations are true, I view him as a monster that should be put away forever. But you can only get so angry at a predator that does what predators do; prey on the young or the weak. I realized that I was much more angry at the others involved in the scandal. I was angry at the good people who did not have the courage to do the right thing. I was angry at the people who stood by and did nothing, to the detriment of several little boys. They did not understand the concept of courage. Courage has many definitions, I’m sure, but the definition that is most useful for me is; courage is taking action in the face of fear. Courage is doing the right thing when fear tells you not to. Those other people involved in the Penn State scandal were (and are) good people. They pay their taxes, they work hard at their jobs, they take care of their families. But when faced with a criminal act, they knew what they were supposed to do, yet didn’t, because they were scared of the consequences. They justified it by saying to themselves, “I didn’t commit this crime. Why should I have to suffer the consequences of reporting it?” So, they either did nothing or the bare minimum, and tried to ignore it ever happened. This lack of courage has catastrophic consequences for society. When good people do nothing when they see crimes against humanity, it allows ever-increasing atrocities to occur. It is this mentality that allows countless wives to be beaten, that allowed slavery as a way of life, that allowed the Nazis to commit horrible crimes. One can quickly see that not having the courage to stand up and report wrongdoing damages us all. It certainly did not save the Penn State staff from consequences. Karma always comes around. Here is the question you must ask yourself right now. I am willing to bet that you are a good person. Do you have the courage to report wrong-doing? There will always be criminals and crime. But good people who do not have the courage to do the right thing make criminals 10X more powerful. It is very difficult to know what to do when you are in the middle of the problem. Remember, courage is taking action even though you are scared. So, get a hold of your fear, go ahead and do the right thing. Not only will you be able to live with yourself better, society will benefit as well. We just received this well-thought out comment in response to an article we published a few months ago titled “Martial arts practice and the deceived mind,” by Stanley Pranin. It is a succinct description of the various categories of training for competition and their applicability in real street encounters. Sparring is a form of training like any other form of training. Even the most brutal MMA matches are not fights. They are sparring. As with any form of training, the questions are: What does it get you? What does it cost you? Every kind of sparring, from light to no contact “tag” to MMA matches serves a purpose. What you get: You learn control. You learn to put your fist or foot or elbow where you want it to go. What it costs: Very little. The non-physical dangers: But the student has to be certain they understand this is far, far from any kind of actual fight. So don’t get cocky because you’re the school “tag” champion. What you get: You improve your stamina and strength. 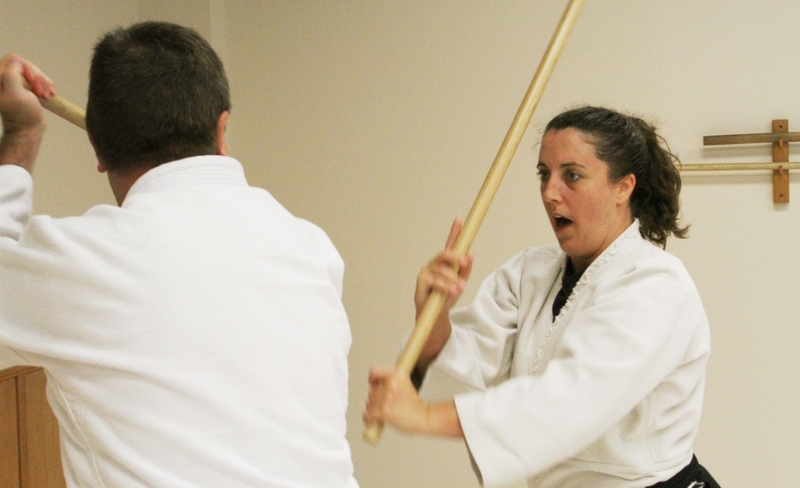 You learn range, speed, combinations, positioning and…you learn to take a heavy hit (or several) without stopping. What it costs: You can expect to always get bruised up, and occasionally there will be more serious injuries. The non-physical dangers: For safety reasons there are lots of rules with kickboxing. These limitations on what you (and your opponent) can do make this EXERCISE a very unrealistic imitation of a fight. As before, don’t get cocky because you can do this well. What you get: Practical experience and a “feel” for grappling, joint locks, throws and so on, for people of different weights and sizes. What it costs: Like with kickboxing, expect bruises and abrasions. And, unfortunately, the occasional injury. 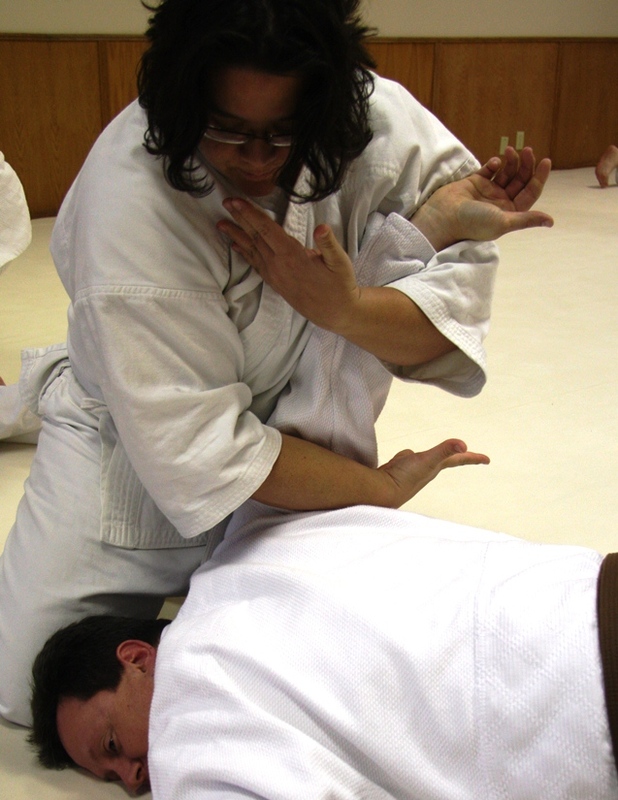 The non-physical dangers: Some Jujitsu consider themselves to be the toughest guys around. That doesn’t count for much if you’re ground fighting your assailant, but his friend is kicking you. As will all sparring, it’s an exercise. With any of these exercises (and many other variations), always remember what it gets you, what it costs you and remember the non-physical danger that you might start to think that’s how fighting works. Whether any of these is worth the risk, that depends on each practitioner, and how prepared they want to be if they’re attacked, and what risks they’re willing to take for that level of preparation. In many cases the more dangerous kinds of sparring can be done for a while, until those particular lessons are learned, and then one can move on. Early on, one of the most valuable things that a beginner can learn in sparring is that you CAN continue even if you have the wind knocked out of you or a charlie-horse. That is a critical lesson to learn for self defense. If you don’t learn it, should someone unexpectedly hit you hard in real life, you’ll crumple. You won’t know if you are hurt badly or not. All you’ll know is that you’re hurt more than you’ve ever had to deal with before. And when your life depends on it is NOT when you want to learn to handle that. Once you HAVE learned that (painful) lesson, there’s no need to continue getting the stuffing beaten out of yourself. As for sparring competition, that’s another matter. It’s not a bad thing to spar for sport. No worse than playing football or rugby. But it’s not about preparing to defend yourself. It’s just a different animal.